Oftentimes people want to know how they can help…what they can do to make a difference for the individuals we serve. One of the easiest ways to make an immediate and direct impact is to support Methodist Services financially. You can maximize your gift today by sending a check to our Main Campus office, Methodist Services, 4300 Monument Road, Philadelphia, PA 19131. Conveniently make your gift through our secure online site by clicking on “Donate Now” below. Methodist transforms generous donations from individuals, businesses, organizations and churches into programs and services that benefit the children, individuals and families we serve every day. You can make a gift each year by sending a check or by using our secure online donation page. Conveniently make your gift through our secure online site by clicking on Donate Now. Methodist Services is a registered 501(c)(3) and all annual fund gifts are tax deductible. Our fiscal year begins on July 1 and ends on June 30. Thank you for your support. Situated on a beautiful urban campus in the heart of West Philadelphia, Methodist Services’ Bridge House is a Transitional Housing Program serving homeless individuals, referred from shelter and whose goals are to exit to permanent housing within 12 months. Bridge House residents have suffered life traumas which have led to homelessness, due to domestic violence, financial catastrophe, debilitating mental illness and family estrangement. Aging Bridge House buildings do not currently meet Methodist’s standards of excellence. Built in 1966, Bridge House is in need of significant renovations. Bedrooms will be “gutted,” outdated, built-in furniture replaced, walls and closets rebuilt, new flooring, ceiling fans and energy efficient lighting installed, as well as new furnishings and home goods purchased. 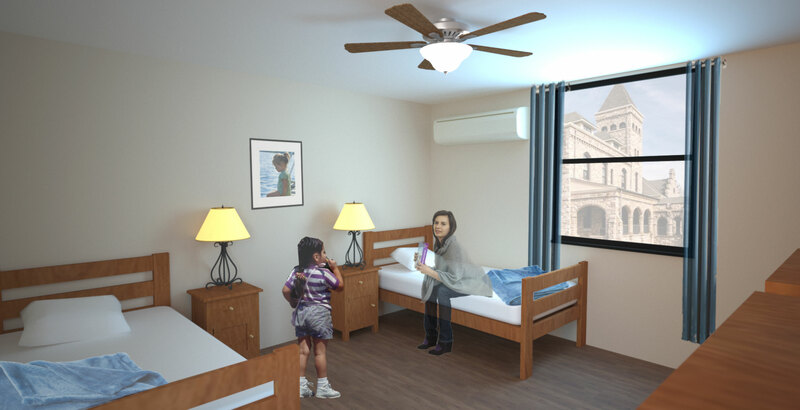 We invite you to help Methodist Services raise $110,000 for Bridge House Room Renovations. Planned Giving has a long history at Methodist Services. Over our history, the continuation of our mission has been ensured due in large part to generous estate gifts from donors who have remembered us in their wills. Making Methodist part of your estate plan means making sure Methodist will continue to serve the children and families into the future. Your gift can make a difference – even a small amount can have a large impact over time. A simple directive in your will can offer much needed financial support and make a difference in the lives of the children and families we serve. You can start today by making sure you have an up-to-date will or living trust reflecting your charitable intentions. You may want to contact your financial advisor, lawyer or accountant to get assistance with establishing a charitable gift. Remember to think beyond cash gifts – you can leave stocks, real estate and insurance policies to charitable organizations. You can also make your favorite charity a beneficiary of life insurance, a pension plan or an IRA. Supporting Methodist financially throughout the year is the best way for you to have an impact on our programs. Every dollar you give goes directly toward serving the children and families in our programs. When you make a gift, the money may go toward, for example, sending a child to summer camp, helping a family afford childcare, or purchasing school supplies and Christmas gifts. We also rely on the generosity of the community for in-kind donations. Every year we provide new, unwrapped Christmas gift and brand new school supplies for the over 700 children and youth served in our programs. We cannot do this without your help.